We’d love your help. 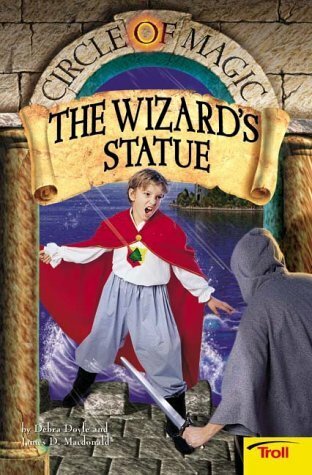 Let us know what’s wrong with this preview of The Wizard's Statue by Debra Doyle. Discover a fantastic world of swords and sorcery in this exciting fiction series. To ask other readers questions about The Wizard's Statue, please sign up. Adorei! Passado no tempo medieval, num outro mundo, as aventuras são fantásticas quando um miúdo descobre que pode fazer magia e ingressa numa escola de feiticeiros. Um Harry Potter um pouco menos adulto, com uma história diferente e que deixa o leitor a querer mais e mais. When I read this in 1995, it had a diferent title. But I believe it to be the right book! Debra Doyle has a doctorate in English literature. Together, she and James Macdonald have written numerous sf/f books. They live in Colebrook, New Hampshire.